After serving our immigration attorney community for hundreds of foreign nationals that have invested millions into the domestic economy and creating thousands of US jobs… Foreign Investor Resource Group is closing its doors. There are still a few projects and cases that have yet to be completed. Rest assured that these will be fulfilled within our original terms & conditions. I don’t see this as a failure, but a footnote to continued success. We started FIRG with a particular mission that we accomplished back in 2013. As our company continued to grow – so did the principles and the team. Although we are progressing in different directions, we will continue to serve the immigration community in our own ways. Both Ismael and I will continue to serve the U.S. immigration community and building upon our own capacities while leveraging our individual strengths. Our staff and team will continue to have plenty of work moving forward. Dr. Fernandez will continue to focus on international business community through its newly created firm Greengateplans.com. He will continue to be a resource to individual investor/entrepreneur projects as well as larger scale regional centers by providing economic insights to EB-5 investors and Regional Centers, including Targeted Employment Area assessments, economic studies, business plans and strategic counseling. 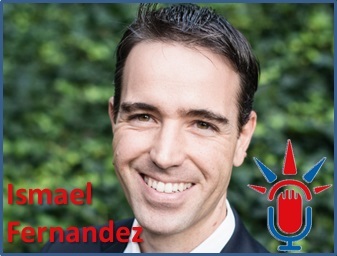 I, Mark Deal, am expanding the project I started in 2014 through the U.S. Immigration Podcast to include more media and exposure for the immigration attorney community. I will also be leveraging the marketing experience and law firm operations knowledge gained in the last five years to bring new marketing, engagement, fulfillment and referral automation solutions for immigration attorneys and their law firms. We will both be supporting single entrepreneur, executive and investor business plans for E-2, L-1 and EB-5 visa petitions in various capacities. Feel free to reach out to either one of us for this continued support in the future. Although our collaboration through FIRG has come to an end, you can tell that there are many synergies going forward into the future between Ismael, myself and the immigration community. Use the forms below to reach out to either Mark or Ismael as needed. 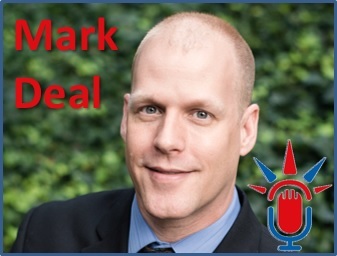 Mark Deal is building on his years in business immigration and the U.S. Immigration Podcast project he started in 2014 to bring new marketing, engagement, fulfillment and referral automation solutions for immigration attorneys and their law firms through ImmiGet.US. If you would like to know more, please contact me through the form below. Ismael is now supporting international investors with migration needs to the US with more emphasis on the EB-5 program. If you would like to learn more about what Greengate can offer you, do not hesitate to contact Dr. Fernandez using the form below.